Murder Squad cops are probing the fatal stabbing of a man in his thirties. Police say the victim was knifed to death during a “dispute” in the street in the early hours of this morning. 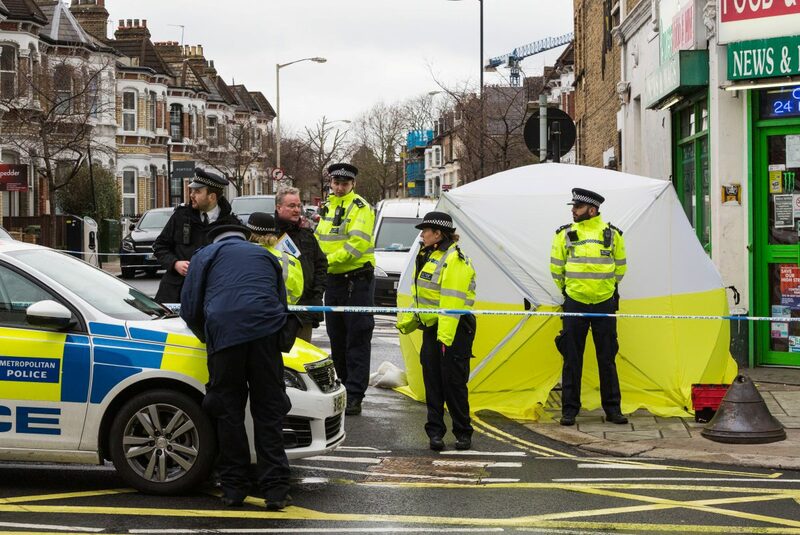 He was pronounced dead at the scene in the smart south London suburb of East Dulwich. He is the fifth person to be murdered in London in just a fortnight. Four of those victims have been fatally stabbed. The incident occured around 2.30am outside an off licence. Assistant manager Muhammad Khan reportedly said his cousin – who has given a statement to police- was working when an argument broke out over a man refusing to give a cigarette. He claimed two men involved were arguing and one took out a huge knife, around six inches long. 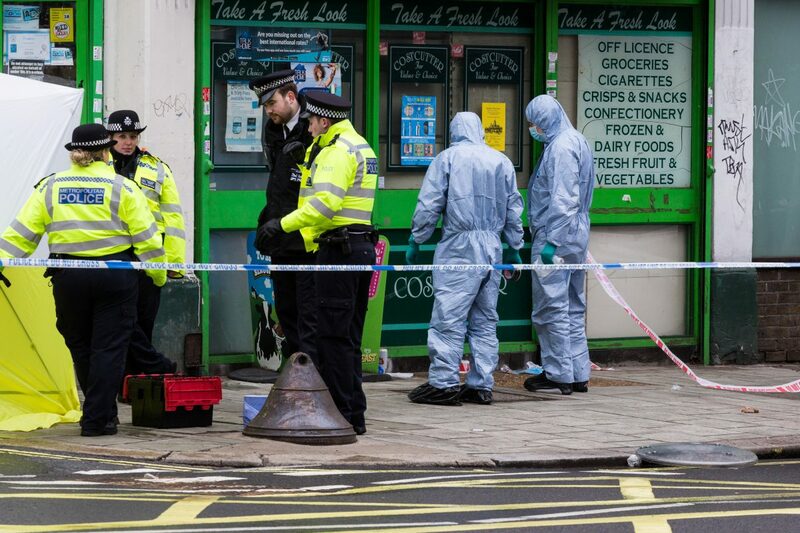 Mr Khan told the Daily Mail the entire incident lasted around 20 seconds: “the guy with the knife asked the other for free cigarettes, like as a favour or something. I don’t know whether he knew him. Another local shop owner claimed he’d been told by witnesses that the victim was slashed across the neck. The murder comes as NHS doctors warned this weekend that they treat double as many knife injuries as a decade ago and the knife injuries they are seeing are becoming more horrendous, affecting younger victims and caused with professional weapons designed to cause serious injury rather than household knives. The Home Secretary has announced the introduction of new ASBO-style knife crime prevention orders that will be able to be enforced on suspects as young as 12, though Sajid Javid has also come under criticism as he admitted this week that police have been cut by 21,000 nation wide. Police say there have been no arrests and are appealing for witnesses. 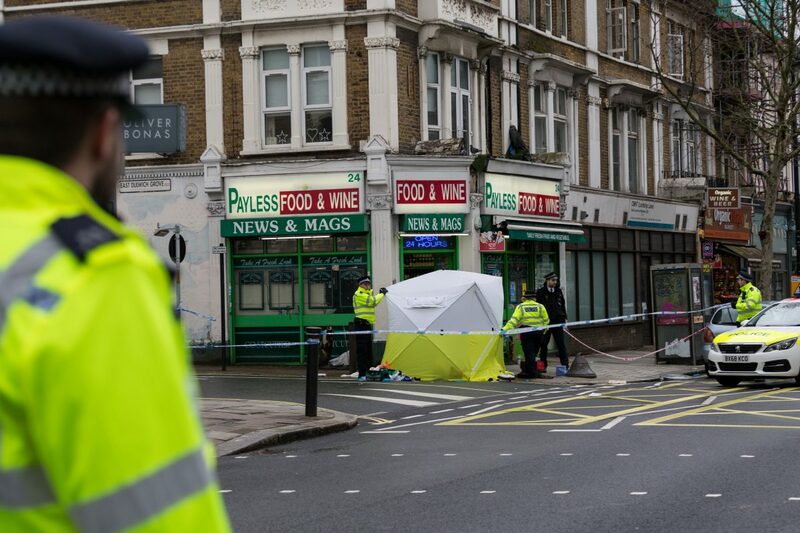 A Scotland Yard spokesman said: “A man has died following a stabbing in East Dulwich. 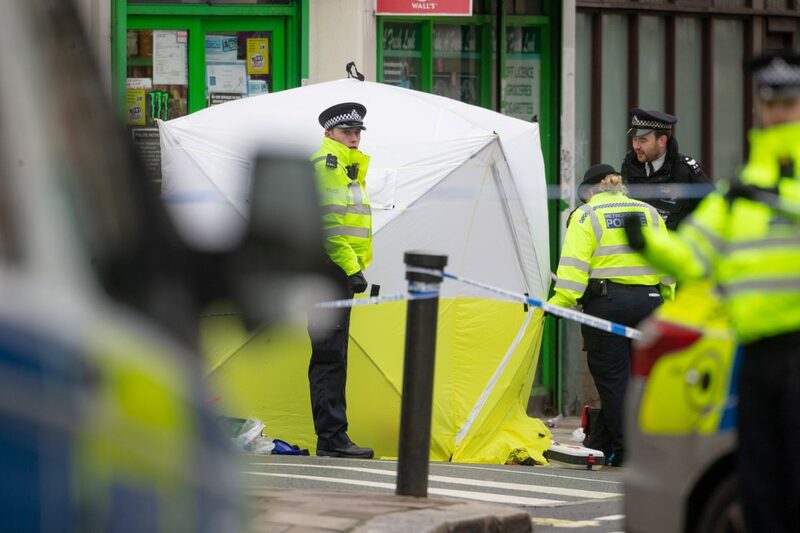 “Police were called at around 2.35am to reports of a man stabbed in Lordship Lane, near the junction with East Dulwich Grove. Officers and London Ambulance Service attended. “The victim, believed to be aged in his 30s, was pronounced dead at the scene at 3.04am. Formal identification and a post-mortem will be arranged in due course. “Road closures remain in place around the scene. He added: “There have been no arrests at this early stage. 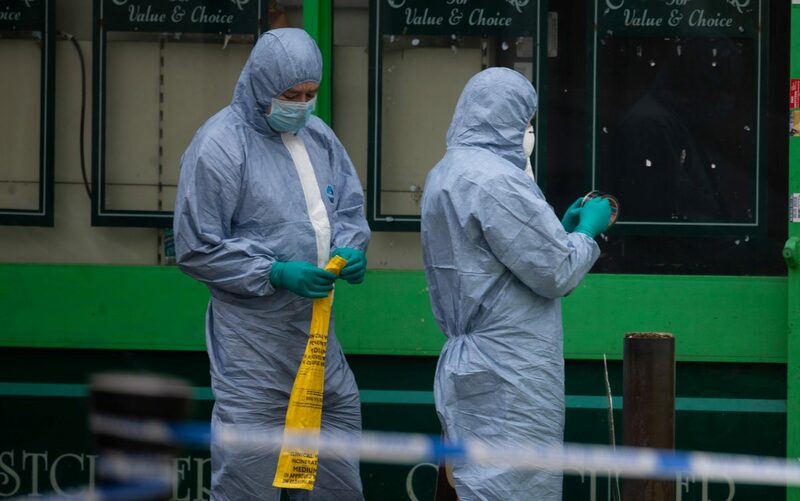 Eleven people have been murdered in London so far this year, at least seven of whom have been fatally stabbed.